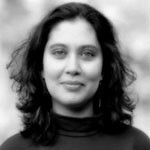 Dr. Anupama Rao (Columbia University), has research and teaching interests in the history of anti-colonialism; gender and sexuality studies; caste and race; historical anthropology, social theory, and colonial genealogies of human rights and humanitarianism. Her book, The Caste Question (University of California Press, 2009) theorizes caste subalternity, with specific focus on the role of anti-caste thought (and its thinkers) in producing alternative genealogies of political subject-formation through the vernacularization of political universals. She has also written on the themes of colonialism and humanitarianism, and on non-Western histories of gender and sexuality. Professor Rao is currently working on a project titled Dalit Bombay, on the relationship between caste, political culture, and everyday life in colonial and postcolonial Bombay. at McMaster University (University Hall 122) on Thursday, February 7, 2019, 4-6pm.